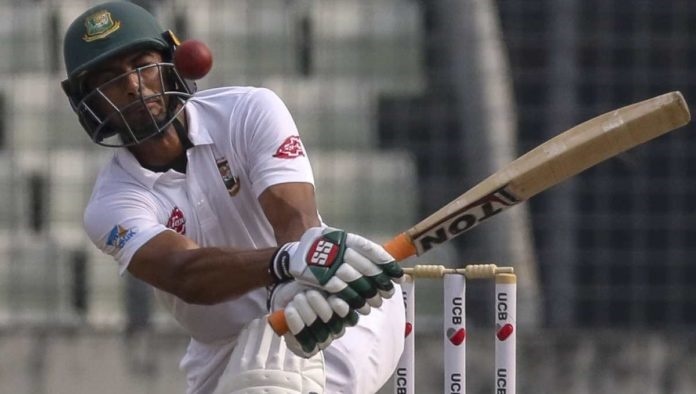 Bangladesh stand in captain Mahmudullah Riyad hit his fourth Test ton, the precious century which came under heavy pressure, against New Zealand during the fourth day of the first Test in Hamilton. It was the ground of Seddon Park where the batting all-rounder scored his maiden Test century back in 2010. His career best innings of 146 flourished with 21 boundaries and three over boundaries before he was the victim of Tim Southee. When Bangladesh fell in deep trouble Mahmudullah led from the front to pair with Soumya Sarkar, who hit 149, during an impressive 235-run for the fifth- wicket stand as Bangladesh reduced the defeat margin after New Zealand took massive first innings lead. Making his Test debut against West Indies at Kingstown in July 2009, he played so far 43 matches in this format to aggregate 2407 runs at an average of 31.67. He reached his ton after Soumya fell to Trent Boult. Though Bangladesh lost the first Test but he played a captaincy knock innings for his team and fought wholeheartedly. He was the penultimate batsman to go the pavilion before Bangladesh lost the match.